Profiling beds are often necessary to provide proper support and ease of care for the patient and carer alike, but finding one with full functionality on a budget can be difficult. The Invacare Medley Ergo Profiling Bed is designed to solve this problem, as it provides the perfect balance between budget, functionality and quality requirements. With four-section mattress profiling, height-adjustability and shear-reducing operation, this bed is the perfect cost-effective profiling solution for both patients and carers. 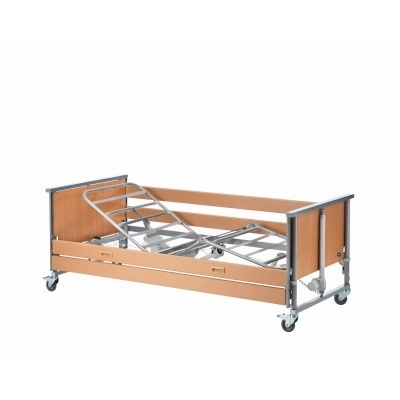 This bed is available with or without full-length side rails for patient safety. Select your desired option using the drop-down menu at the top of the page. The Medley Ergo Profiling Bed has been specially designed to meet the demands of transient community working environments, as it facilitates quick transportation and assembly. It can be easily installed and moved, allowing it to accommodate all of the demands a care facility might have. To make setup simple, all assembly can be done without the use of tools or technicians. With an adjustable mattress platform to stop patients sliding down, this bed will reduce the shear and friction forces that are often associated with profiling. Constructed to meet the anthropometric statistics and pressure mapping recommendations, the Medley Ergo Bed is a superb choice for patients at high risk of pressure sore development. The dimensions of the bed are optimised for all patients, making the bed suitable for even the shortest of users. To make the care environment more comfortable for the patient, this bed is made with an attractive, homely design. 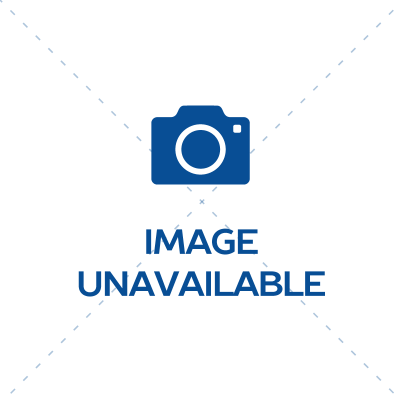 This design is also functional, as the leg supports are fitted with Rastofix to enable individual positioning of the legs. 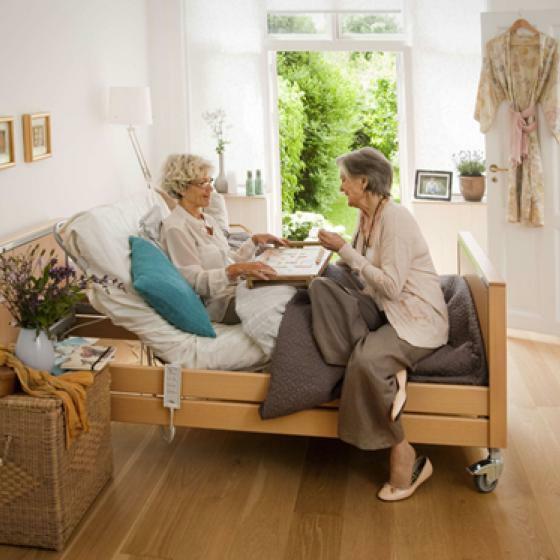 This bed is made with a flexible design, and is fully height-adjustable to ensure a safe and comfortable working height for carers. 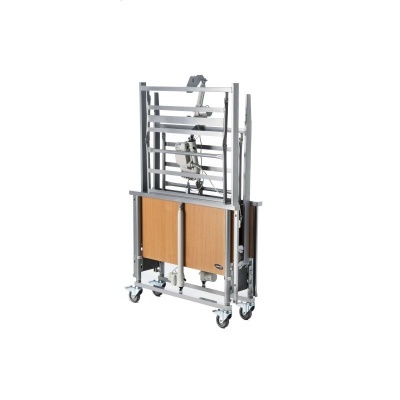 This adjustability also makes patient transfers simpler, safer and more efficient. This is facilitated by the unique bed end, enabling the mattress support to be mounting in both upper and lower positions.